At Waterford Grand, we offer memory care programs to fit every need. 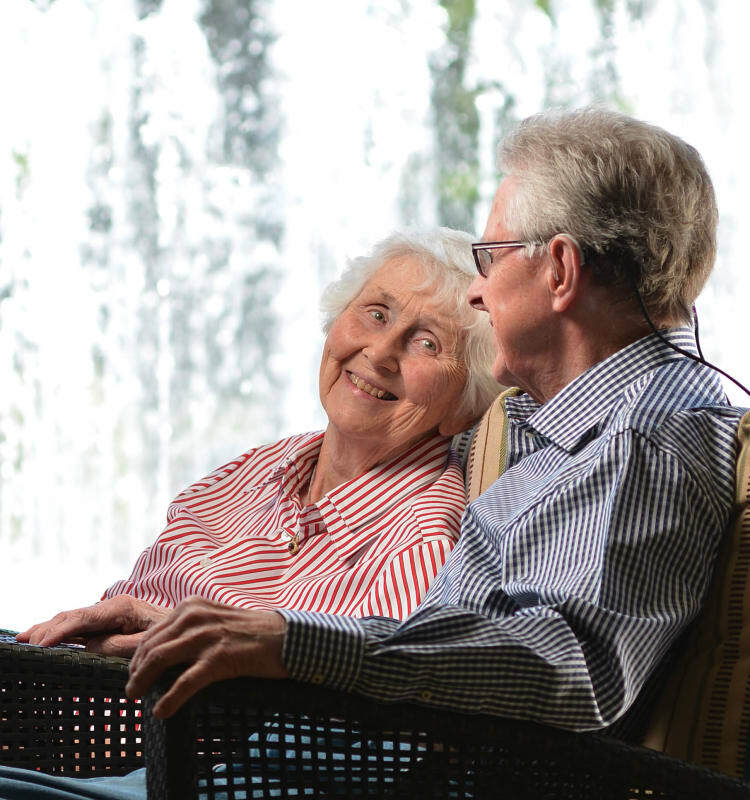 Our multi-stage memory care program is unique in the Eugene area. It was developed to offer alternatives based not only on the level of care needed, but social and overall life enrichment needs, as well. We have found that engaging with other residents who are at similar functioning levels helps make the adjustment to the memory care setting easier, and provides more meaningful opportunities to socialize. Both North Shore and South Shore are security code protected and offer their own exterior courtyards, with views of Eugene’s beautiful Willamette River. South Shore is a good choice for residents who are early in the dementia disease process and are just beginning to experience issues related to memory loss. Many are still able to guide some of their own daily activities but need varying levels of daily support. North Shore is best suited for individuals who are further along in their disease process. A greater level of care services is provided based on the individual needs of the resident. Whether South Shore or North Shore is right for you or your loved one, experience quality care at Waterford Grand.